Discover treasures of the past on Montréal’s South Shore. Grand and imposing, simple and understated or very old, they all bear witness to religious devotion and the great talent of their creators. Start with the Mohawk community at Kahanwake, and continue through Longueuil and Boucherville up to Varennes, exploring these sanctuaries where visual art, architecture, pilgrimage and tradition bring history to life right before your eyes. Go ahead, try the new Saint Lawrence River Shrines route. You’re sure to make some beautiful discoveries! Discover this 18th-century Jesuit mission on the shore of the St. Lawrence River, within the Mohawk community of Kahnawake. 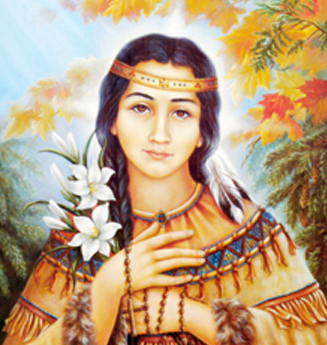 Built in 1720 in the old Fort Saint-Louis, the mission is home to a wealth of historical, cultural and archeological features, such as the tomb of Saint Kateri Tekakwitha, a young native woman who was canonized in Rome on October 21, 2012, by Pope Benedict XVI. 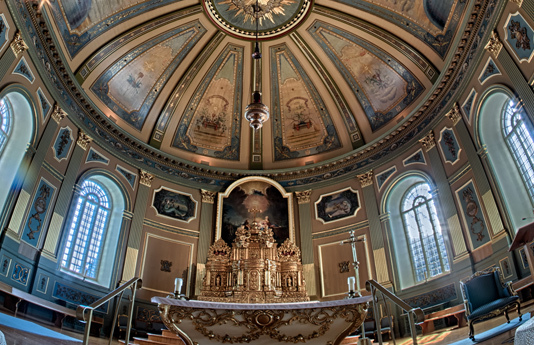 See history come to life when you visit the Co-Cathedral of Saint-Antoine-de-Padoue, which was inaugurated in 1887. With its Gothic Revival architecture and Neo-Byzantine dome, the building was listed as a heritage building in 2012. In the museum you’ll find objects dating back to the origins of the parish in 1697. 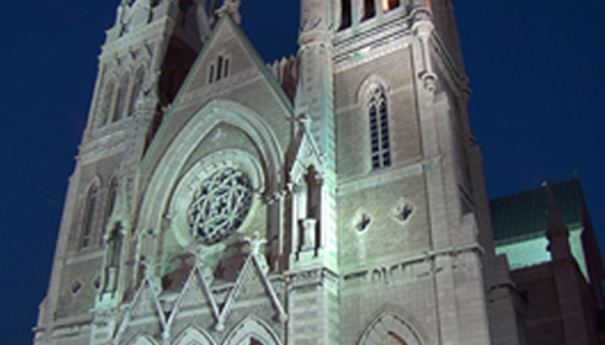 The co-cathedral’s value as a heritage building and its unique character put it among the top-rated buildings in Quebec. In Old Longueuil, travel along rue Saint-Charles, pass the co-cathedral heading east, and after a five-minute walk you’ll come to the Marie-Rose Center. 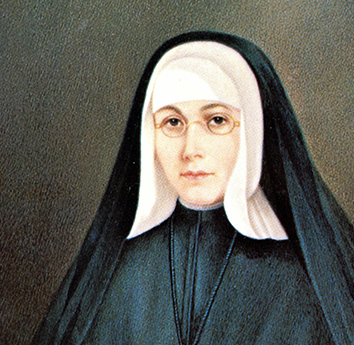 Stop in and get acquainted with Blessed Marie-Rose Durocher as well as the founding home of Sisters of the Holy Names of Jesus and Mary. 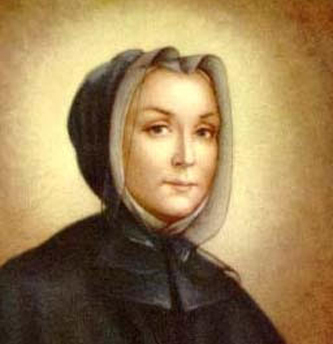 Then, visit the Longueuil convent with its chapel and museum, and the rooms where Marie-Rose spent her day-to-day life. Stop across from the unique view of the Boucherville islands and visit the Sainte-Famille Church, taking time to discover the church’s heritage attractions. Founded in 1667, Boucherville is one of the oldest cities in Quebec, and Place de l’église is the historic heart of the city. The stone church dominates the space, with the old convent to the right and the old presbytery to the left. 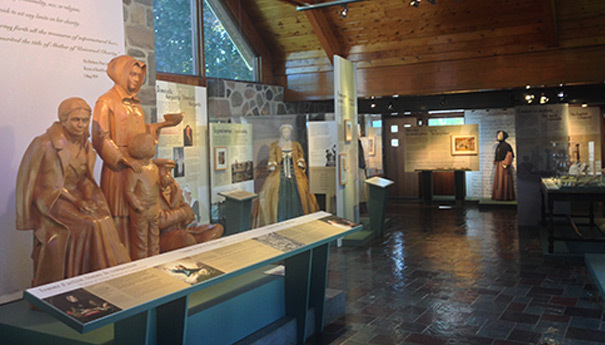 Visit the sanctuary dedicated to the first Canadian-born saint, Marguerite d’Youville, located at her birthplace facing the St. Lawrence River. 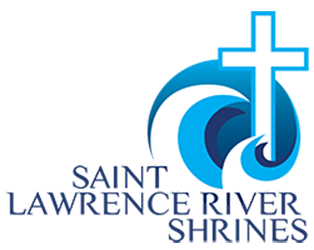 Discover the life, the spirituality and the work of this woman who devoted herself to those most in need. Visit the exhibition hall, the funeral chapel in the transept of the Basilica of Saint Anne of Varennes (1887) and the Maison Grise, a place that welcomes pilgrims and offers help for the community. The work of Marguerite has continued since the 18 century.